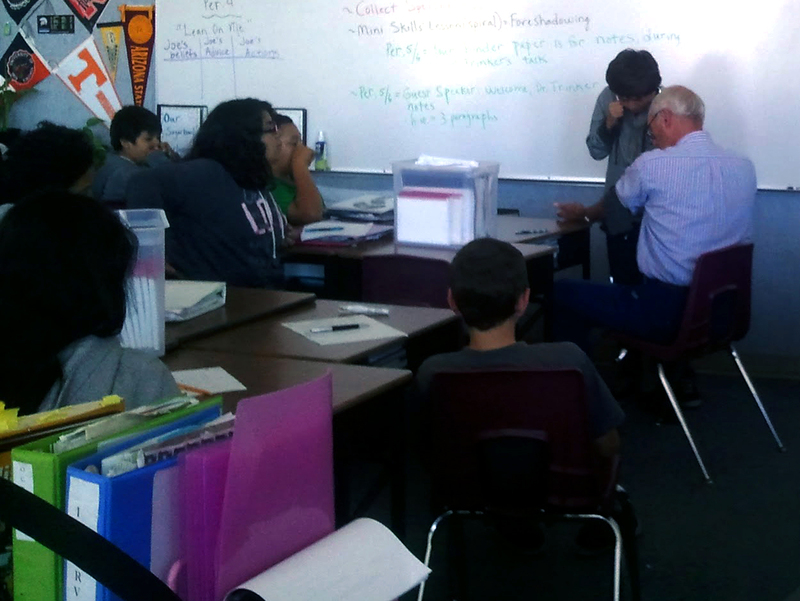 This week PVF kicked off its Doctors in the Classroom program with a presentation by Dr. Trinkner to Mrs. Darrow’s 7th grade History and Language Arts class at McKinley Institute of Technology in Redwood City. Ms. Darrow wanted her presentation to focus on work ethic and dedication – and Dr. Trinkner touched on all these topics and more! The students were engaged and asked questions about everything from how kidneys work, to what type of schooling you must have to become a doctor. Dr. Trinkner easily filled the hour and a half time slot allotted to him sharing stories and answering the many questions posed by the students. Dr. Trinkner ended his presentation explaining how a blood pressure cuff – and even allowed a few students to check his blood pressure! 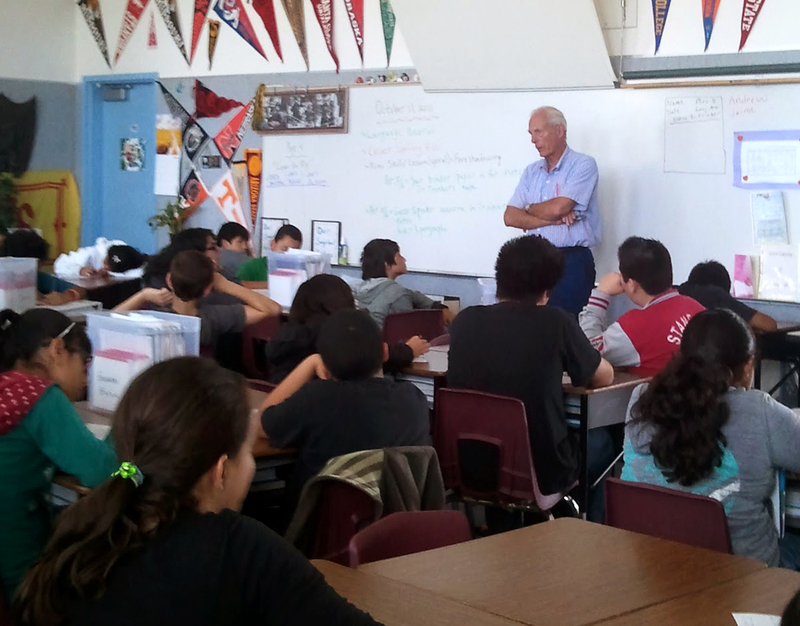 Doctors in the Classroom is open to all San Mateo County public school teachers grades 4-12. We would love to hear from any teachers or doctors interested in taking part in the program! To find more information please visit our web page for Doctors in the Classroom, or email us at doctorsprogram@venturesfoundation.org. This entry was posted in philanthropy and tagged doctors, education, program grants. Bookmark the permalink.